As part of their fantastic prize package, YGD competition finalists had the chance to visit Unity studios in 2018. Unity Technologies were the recipient of this year’s YGD Hero Award. 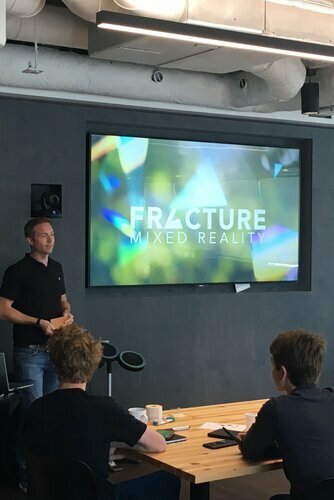 Attendees took part in sessions covering different aspects of game making and design, which included an in-depth look at the use of AR in games and a talk to help finalists think more about a career in the games industry. 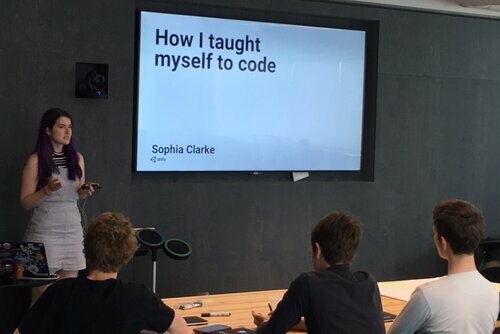 Software Development Engineer Sophia Clarke presents a talk on coding. After the sessions, the finalists participated in workshops such as 'Game Design and Public Speaking', where the group were split into teams and were challenged to come up with and pitch a new game idea to the rest of the group. 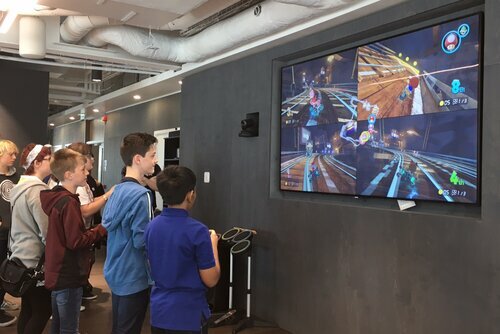 For the final part of the day, YGD finalists were encouraged to explore the space and go behind-the-scenes of a working games studio, and played games on offer (including VR Loco Dojo and Mario Kart on the Nintendo Switch). This time also offered a chance for them to ask any further questions about a career in game design or discuss new project ideas with one another. Our YGD finalists play on the Nintendo Switch! This visit to Unity studios is part of a year-long package of support and development for YGD winners and finalists.